A 200-year-old tree nearly took down another piece of history, but good fortune saved the ancient shrine and spared those nearby any injuries. A giant Bodhi tree fell on top of a house and car (left) but didn’t damage an ancient shrine (right) built in the late Ayutthaya period. 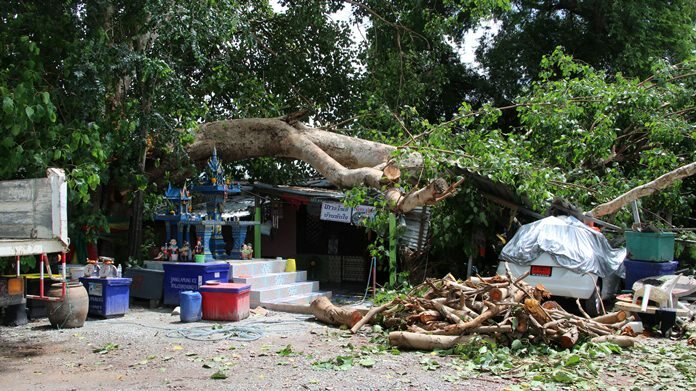 Authorities were called to Banglamung Temple Sept. 28 where the giant Bodhi tree fell on top of a house and car, only causing minor damage to a shrine built in the late Ayutthaya period. One huge branch fell on Rungrat Tanjai’s house and a new Suzuki Swift, inflicting heavy damage. Another house nearby also suffered a damaged roof. 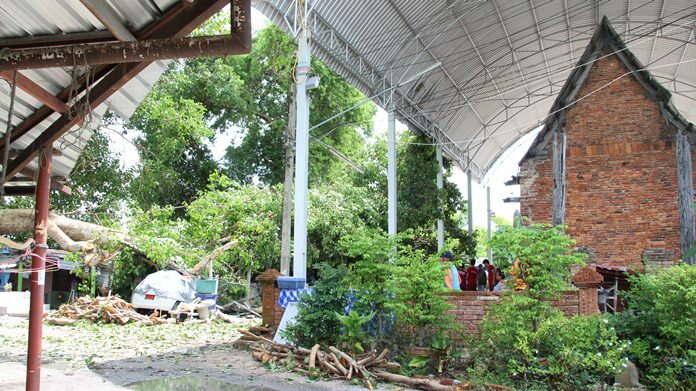 The shrine also took a hit, but only to a roof recently constructed for 600,000 baht to protect the original structure. It worked. The ancient sections were spared any damage. Witness Boonlua Kedmanee, 64, said she heard a sound like people knocking around 3:30 p.m. Then the tree fell. 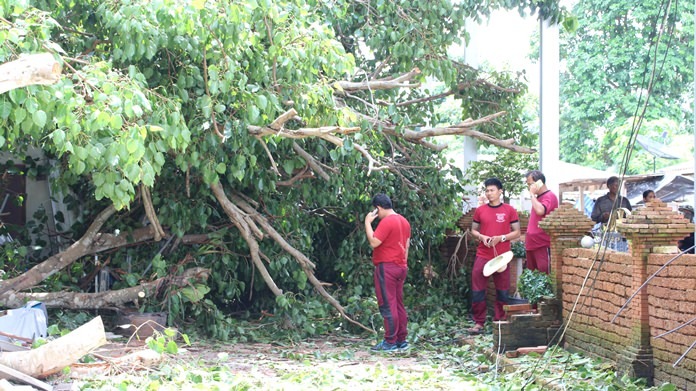 Leam Chabang Sub-district officials responsible for the area cut up the tree and removed the damaging branches.